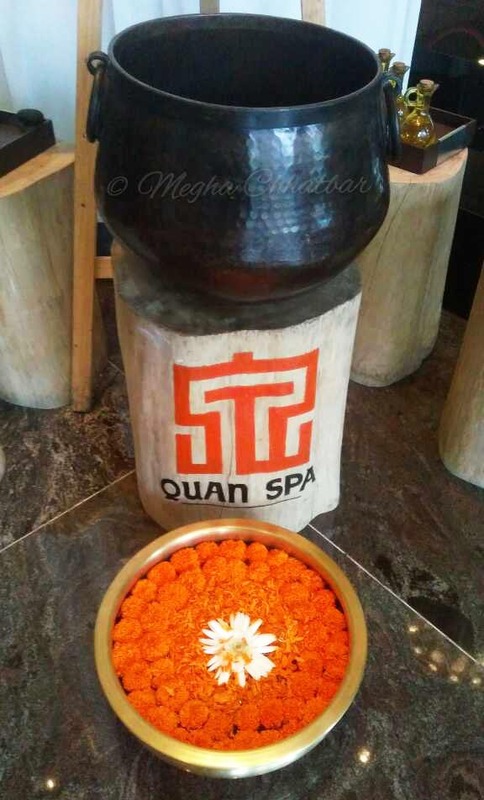 Fit Foodie Megha: 'Spa'rty at Quan Spa, JW Marriott, Pune — Reviewed! 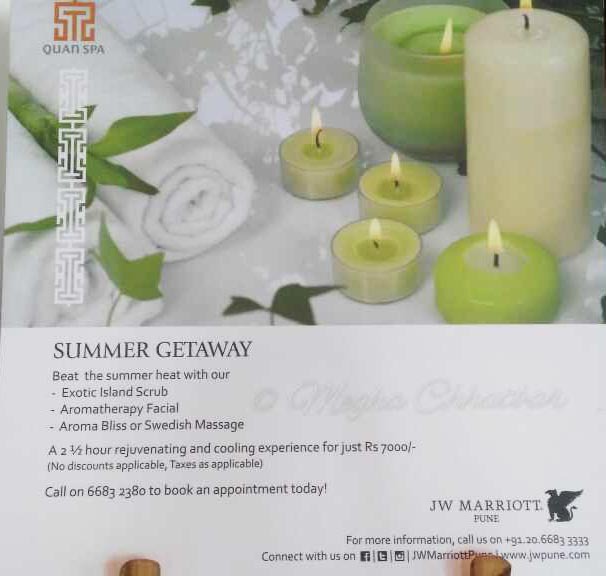 'Spa'rty at Quan Spa, JW Marriott, Pune — Reviewed! Marriott across India organized the M-Day i.e Make it Happen. Basically it was a week full of activities and initiative to thank the guests, clients and stakeholders associated with them! They had few themes as women empowerment and women in leadership. Resonating the theme of ‘Women Empowerment’, engaging the lady guests and employees in luxurious activities such as pool yoga, cooking classes with the chefs, special hi-tea sessions in the wilderness and souvenirs. I was lucky to be a part of the event and to celebrate this occasion, Mallika Chatterjee, Director of Sales & Marketing, JW Marriott Pune was there to welcome us at fun SPArty. Relaxing foot and body massages followed by nourishing spa-inspired F&B treats at Quan Spa was planned for us. It really feel so good na when you are pampered! Such was 'Spa'rty! Couple of ladies were called to celebrate the association with Marriott. We all had a hearty chat, a drink and then was the time for our sessions at Quan Spa. Plush Ambience, private rooms, large area, dim-lit rooms, aromatic with soothing music and floating floral arrangements are to look for. Spa interior was done tastefully and one is just taken into another world. After quick suggestions, settled for Swedish Full Body Massage, which takes almost 90 minutes. 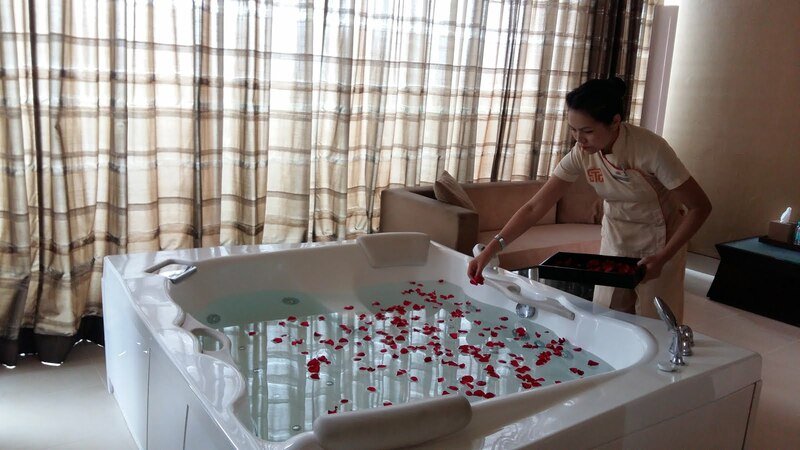 I was warm welcomed by the spa staff, taken to a huge spa room, just like a big room, it had closets, shower area, toilets. I was asked to wear disposable innerwear and bath rob. Post cleaning my feet with rose water, I laid face down on the bed. My therapist asked my preferences and we started off with the back first. 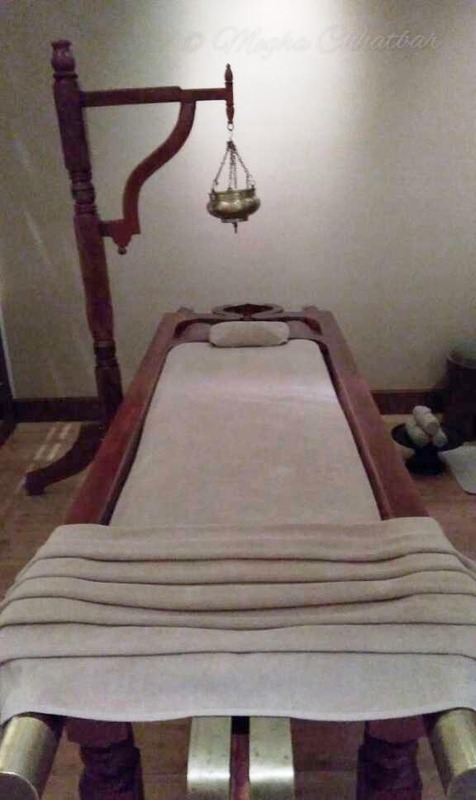 She coated my back with the citrus oil, quite aromatic and with medium pressure to deeper muscles and started kneading into various massage movements. It was quite relaxing. Same applied to hands, legs, neck, shoulder and from the front again. She also did hair massage which was a stress buster. People who are looking to relax muscles, Swedish is for you. Wonderful experience. One can also opt for varied choices from the Quan Menu, be it Abhiyangam , Foot Therapy, Jet lag, Hot Stone Massage, Shirodhara, or Quan Day packages. Post spa treatment, bliss was having spa-inspired treats and believe me they were delectable. 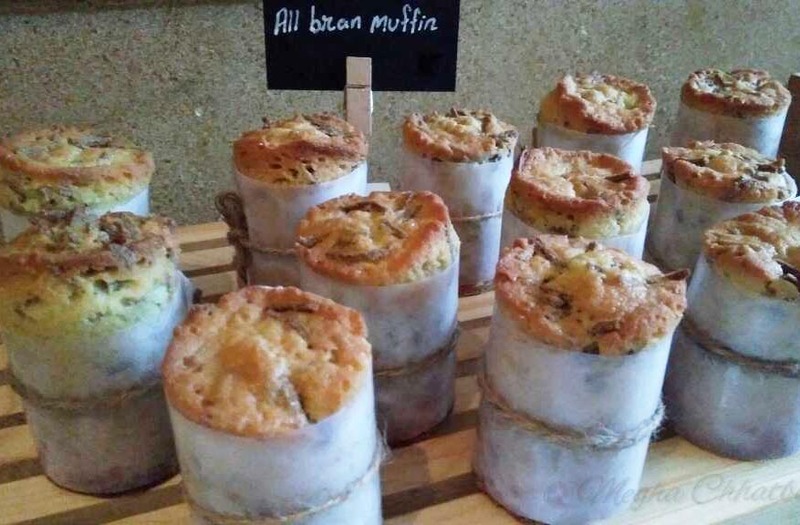 Oat Meal Muffin, Dark Chocolate Pistachio and Nut Bar, Sandwich was my super favourite. What else can you ask for? Good Food, Relaxed mind, Happy soul! Totally worth a visit!